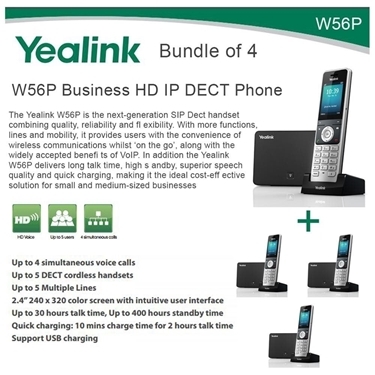 The Yealink YEA-W56P Wireless Business HD IP DECT Cordless VoIP Phone designed for small business who are looking to make Wireless VoIP calls in your home or office, we have a Wireless IP Phone to meet your needs and budget.The W56P Wireless business voip phone offering freedom of wires and industry leading battery performance. 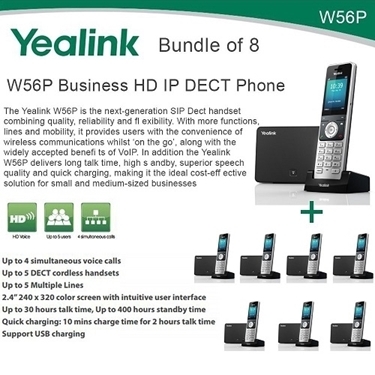 The W56P Wireless DECT Phone offering freedom of wires and industry leading battery performance. 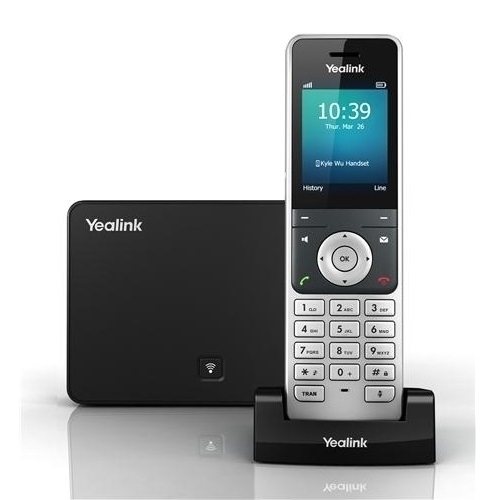 Combining the benefits of wireless communication with rich business features of Voice over IP telephony, User can benefit from freedom of movement, lifelike voice communications, multi-tasking convenience, professional features like intercom, transfer, call forward, 3-way conferencing, PoE etc. 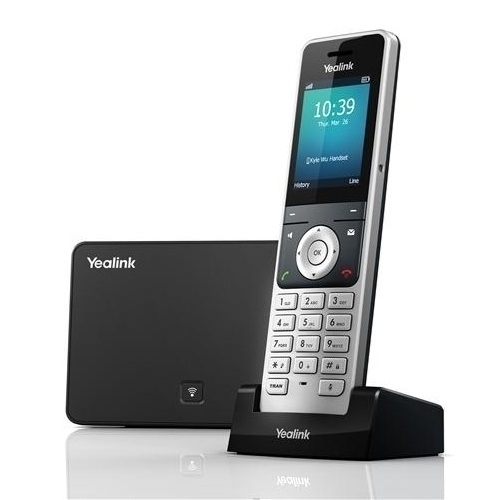 This system works with widely-known Broadsoft, Asterisk, 3CX and supports quick and easy configuration. 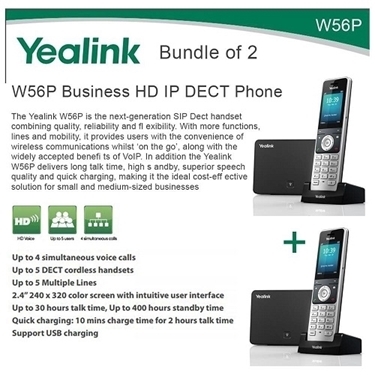 Yealink W56P is a SIP Cordless Phone System designed for small business and SoHo who are looking for immediate cost saving but scalable SIP-based mobile communications system. The Yealink W56P is the next-generation SIP Dect handset combining quality, reliability and flexibility.